If done properly, the act of persuasion can have pretty strong effects on anyone. In business, advertising effectiveness is about persuading people towards your brand. In simple terms, advertising is a mode of communication relaying the unique value of the brand. It should be done in a way to influence people and attract them to your services or products offered. Strategic advertising methods and tactics are important for any business to reach out to as many potential consumers as possible. Surely, the marketing channels and mediums used are critical to promote and position a brand. Undoubtedly, effective advertising can either make or break a brand. Just take a look at the Facebook advertising cost – it can be worth it for some companies and terrible for others. Advertising effectiveness allows for differentiation. In the competitive world of today, many brands are rolling out pretty similar products to compete with each other. To win more customers, advertising allows you to drive your marketing and sales efforts. First, the consumer is made aware of the product. They, they start to recognize the specific differences that set your brand apart from the rest. Finally, the advertising effectiveness is valuable to the company’s brand. Advertising effectively can have significant positive effects on your company’s growth and profits. By creating better customer reach and increasing brand value, the company will have more opportunities to increase sales, with or without a sales app. Advertising effectively helps to attract potential employees and investors too, adding credibility to the company. One your advertisements are in place, you need to understand the advertising effectiveness of each campaign. To measure your advertising effectiveness, there are several metrics and methods used. A simply way to measure advertising effectiveness is to keep a tab on the number of inquiries generated in response to a given advertisement. If the advertisement generates a considerable amount of inquiries or sales, it can certainly be considered as effective. Secondly, you can track brand awareness online to gauge improvement from an advertising campaign. Even if you market only to a target audience and you continually analyze campaign effectiveness using strategies you learned from top business schools, you may still not see the response to these advertisements that you would like. There is another factor you must consider, and that is timing. Timing is everything, after all. Year long advertising is hardly sustainable for small businesses. That is why it is best to focus your marketing campaigns during the time of year your business attracts the most traffic and sales. If you are able to start a bit before your season, this is even better. These campaigns should definitely prove to be more effective. But, just to be sure, do not forget to measure its effect after the seasonal advertising campaign has ended. Targeting audience demographics is what makes advertising strategies effective. In order to create effective advertising strategies, you need to identify a target audience for ads. Every single advertisement for business does not have to have the same target audience. This is why it is important to identify who you are talking to before you create an ad for business. The better you target audiences for ads, the more effective your ads will be. This is because you will be able to create ads that speak directly to those consumers. They will relate much better to your advertisements and react much more favorable in response to your business ads. 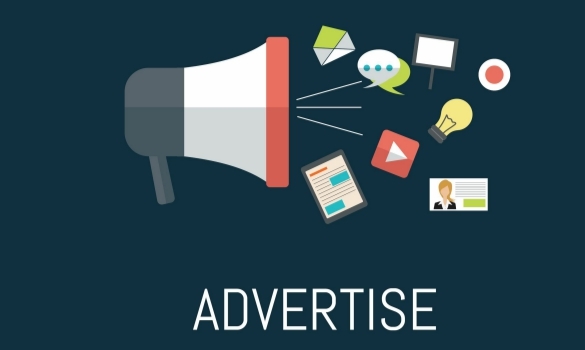 If you want to create effective advertising strategies for business marketing purposes, be sure to target audiences properly before launching ad campaigns. Advertising effectiveness is important to your company and promoting its core value definition. It allows you to invest in some solid advertising opportunities, remove the poor performing campaigns and ultimately, reach a broader target of customers. To make the most of advertising effectiveness, be sure to have detailed tracking, measuring and analysis, leading to better decision making.